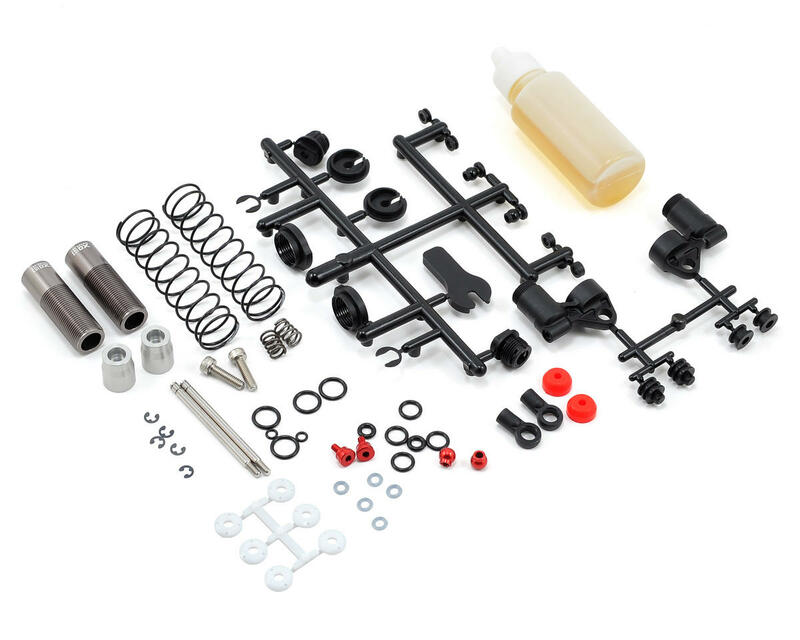 This is the Gmade 103mm XD Piggyback Shock Set. All I can say is wow! A little confusing on compatability, since these are not truck brand specific, but if you're wondering these fit perfectly on the Rustler rear (85mm for the front). And what a huge difference. No leaks so far and beyond adjustable. Our club has a big stadium class (indoors and out) and we are running on carpet indoors right now so I cannot speak for offroad performance until spring. Indoors, with these shocks as only aftermarket item on my Rustler Vileneon, I went from midpack to lead lap. Rustler has always been good on carpet for rear grip and has more than enough power but traxxas falls way short in cornering, front grip and especially push on exit. These can be mounted with reservoir to inside to clear the desert rat body, but rears won't clear the stock Rustler body. I started with most aggressive front grip settings possible and was shocked that my Rustler turned in (on carpet with new Alias fronts and half worn Alias rears) so well that it was traction rolling. GOODBYE UNDERSTEER! I was able to adjust just enough to avoid traction roll and finally use some of that Traxxas power on corner exit. I used my Rustler (white) springs instead of the springs that came with them as they were barely longer and a little stiffer, since the Traxxas is heavier than other models these could also go on (losi, associated...). For indoors I was able to lower my ride height by easily 1/2 an inch and make up for it with shock adjustment. A lower Traxxas is a good thing :) I actually picked up a 22t that i've run all summer and ran at our first indoor event last month. It turned so much better than my Rustler that it prompted me to try these shocks. Unlike my 22t, the traxxas is bulletproof (stock) and the truck I prefer to drive. Shocks have held up wonderfully. I've used them from 8,000ft elevation down to 2,000ft and they haven't leaked at all. They are still as smooth as when I assembled them. I use 25w losi shock oil and the 4 hole damper plates, I can now drop my crawler from 4-5ft and there is no bounce. Great price too! Smooth, easy to assemble and easily adjustable. I highly recommend these for a Wraith. The medium springs are soft enough for full articulation on a medium weight rig. Built mine with green slime and haven't had a leak yet! I got these for my redcat Terremoto 10. They are leaps and bounds better than stock. All I did was polish shock shaft and assemble with associated oil. 30wt was my choice iirc. These are a great value and work fantastic. The valve adjustment is nice for different conditions. I ended up buying their firmest spring to go with my truck. The it bad part about these is support is limited. 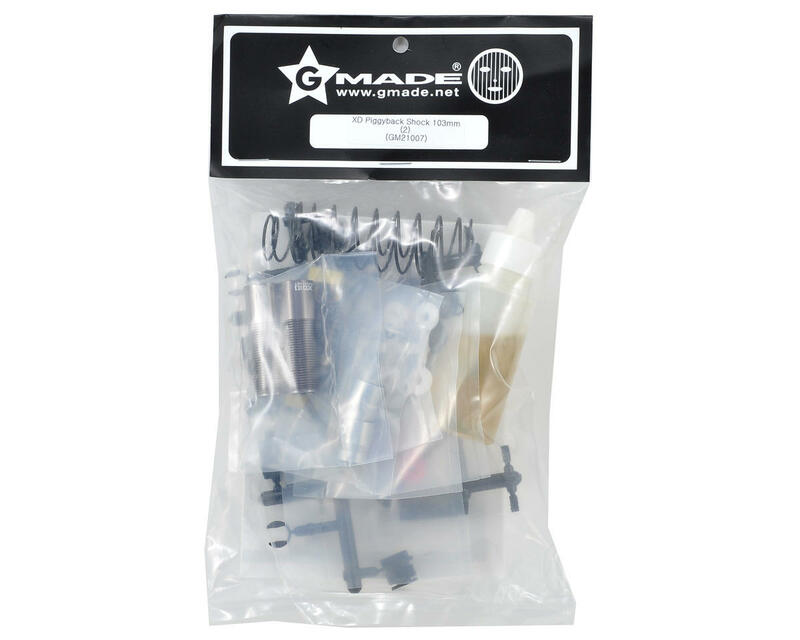 These are rebuildable.